A compact 8-step sequential voltage source in 10hp, with optional 4hp trigger output expander. 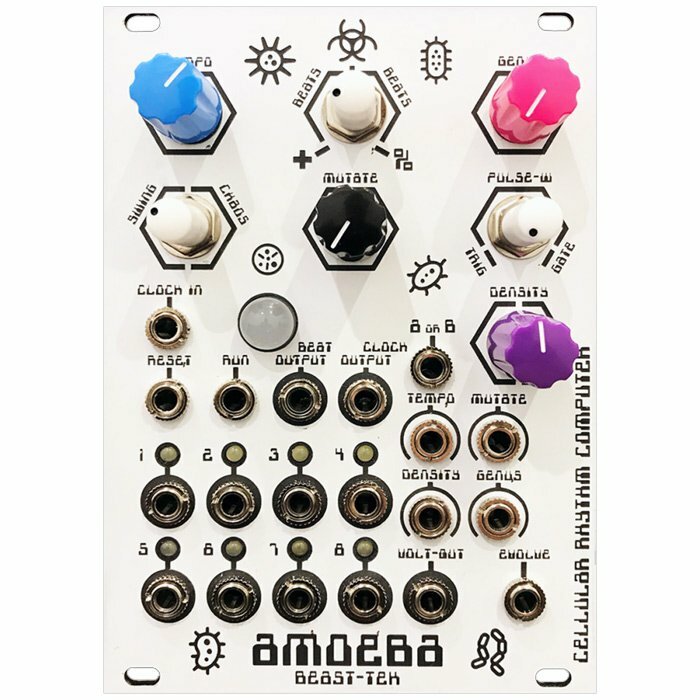 It works great as a classic 8 step sequencer, but also has a CV addressed mode for more experimental & stochastic results. 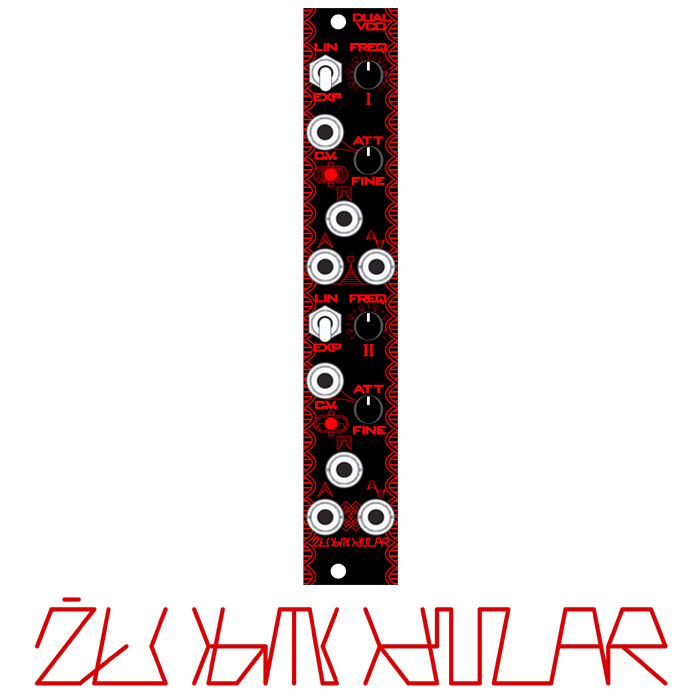 A further expander to be released later in the year will allow two modules to be chained as a single 16 step sequencer. RYO kits are extremely user friendly with detailed build manuals and individually bagged and labelled components. Pattern based sequencing using control voltage levels scaled to each step of the sequencer, this allows the CV waveform you feed it with to determine the running pattern. e.g. a ramp to make it go forward, saw to go backward, triangle for pendulum, S&H’d noise for random etc. You could also use another sequencer’s pattern to control the pattern of the VC Sequencer, the possibilities for exploration are many. All low latency CMOS and Opamp circuitry. No software, firmware, PIC chips, ATMEGAs, micro processors etc. Works up to audio rates. The VC Sequencer therefore functions as a 3 bit hands on waveshaper. COMING SOON – Expanders to allow chaining of 2 VC Sequencers for 16 step operation and unlimited extra parallel channels of CV or gate/trig. Depth with power cable attached: Less than 45 mm for both modules.